The Xiaomi Mi A1 is Xiaomi’s first “officially” internationally available phone. 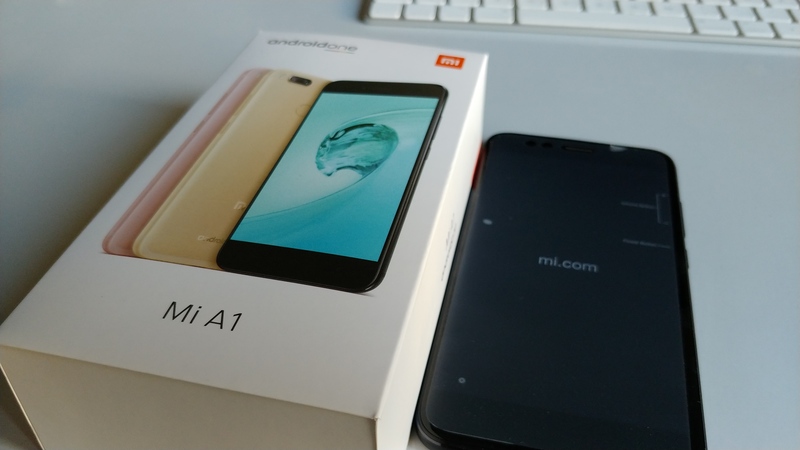 Xiaomi has been a really big name in China’s smartphone market for years, promising high-end specs and good build quality for a budget price tag – but only at the end of last year did they officially enter the global scene with the Mi A1. The Mi A1 is basically a revamped Mi 5X running stock Android software instead of Xiaomi’s custom Mi UI. It’s also part of Google’s Android One program which means it runs a ‚clean‘ Google version of Android that gets quicker and more frequent updates directly from Google. For a very budget-friendly 180€ (current online price in Europe) you get a slick looking phone with dual rear cameras, featuring a 2x optical zoom telephoto lens alongside the primary camera. Sounds like an incredible deal? Here are some thoughts about the Mi A1 regarding its use as a tool for media production, specifically video. After spending a couple of days with the Mi A1, I would say that this phone is definitely a very interesting budget-choice for mobile photographers. The fact that you get dual rear cameras (the second one is a 2x optical zoom as mentioned before) at this price point is pretty amazing. The photo quality is quite good in decent lighting conditions (low light is problematic but that can be said of most smartphone cameras), you get a manual mode with advanced controls in the native camera app and the portrait mode feature does a surprisingly good job at creating that fancy Bokeh effect blurring the background to single out your on-screen talent. A lot of bang for the buck. Video – which I’m personally more interested in – is a slightly different story though. Let’s start with a positive aspect: The Xiaomi Mi A1 lets you record in UHD/4K quality which is still a rarity for a budget phone in this price range. And hey, the footage looks quite good in my opinion, especially considering the fact that it’s coming from a (budget) smartphone. I have uploaded some sample footage on YouTube so see for yourself. The video bitrate for UHD/4K hovers around 40 Mbps in the native app which is ok for a phone but the audio bitrate is a meager 96 Kbps (same in FHD) – so don’t expect full, rich sound. But this is only the beginning of a couple of disappointments when it comes to video: One of the Mi A1’s promising camera features, the 2x optical zoom lens, CANNOT be used in the video mode, only in the photo mode! What a bummer! This goes for both the native camera app and 3rd party apps. 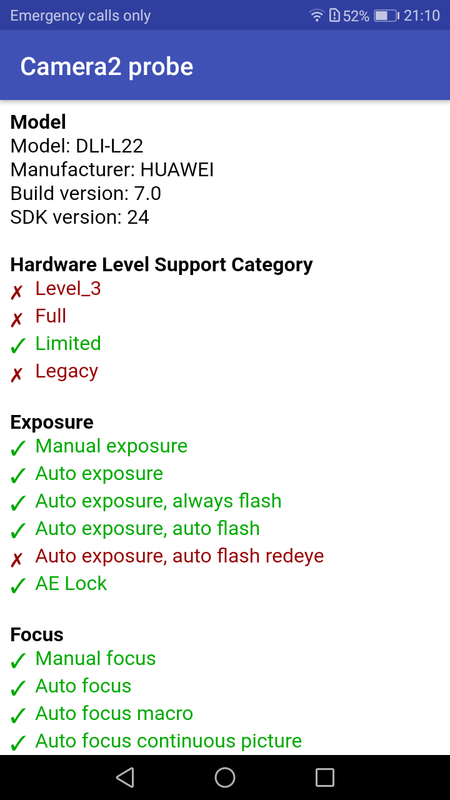 Despite running a stock version of Android and being part of Google’s Android One program, the Camera2 API support level is very disappointing. Talking about 3rd party camera apps, it’s also a huge let-down that the Camera2 API support (what is Camera2 API?) is only „Legacy“ out of the box, even though the Mi A1 is part of Google’s Android One program. 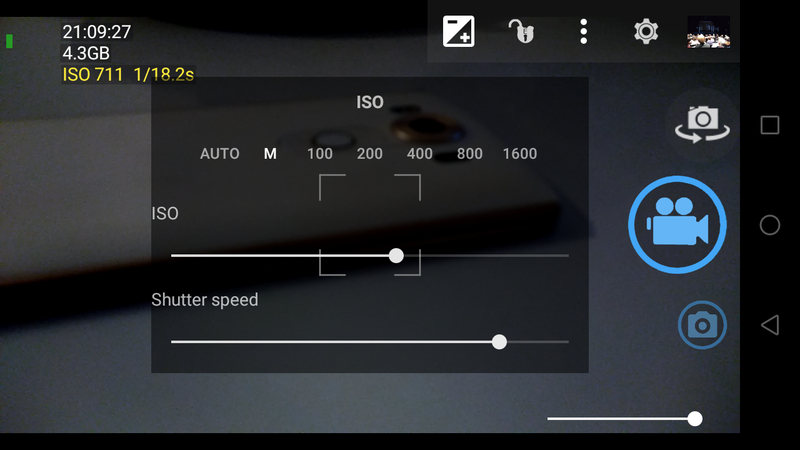 „Legacy“ means that third party camera apps can’t really tap into the new, more advanced camera controls that Google introduced with Android 5 in 2014, like precise exposure control over ISO and shutter speed. Due to this, you can’t install an app like Filmic Pro in the first place and other advanced camera apps like Cinema FV-5, ProShot, Lumio Cam, Cinema 4K, Footej Camera or Open Camera can’t really unleash their full potential. Interestingly, there seems to be a way to „unlock“ full Camera2 support via a special procedure without permanently rooting your device (look here) but even after doing so, Filmic Pro can’t be installed, probably because the PlayStore keeps the device’s original Camera2 support information in its database to check if the app is compatible without actually probing the current state of the phone. This is just an educated guess however. Still, many of us might not feel comfortable messing around with their phone in that way and it’s a pity Xiaomi doesn’t provide this out-of-the-box on the Mi A1. UI of the video mode in Xiaomi’s native camera app on the Mi A1. 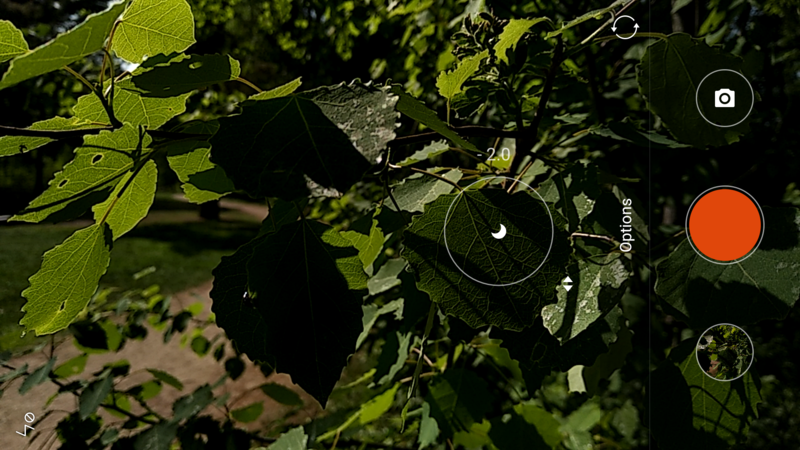 You can tap to focus and adjust the exposure (+/- 2 EV), but not lock it. 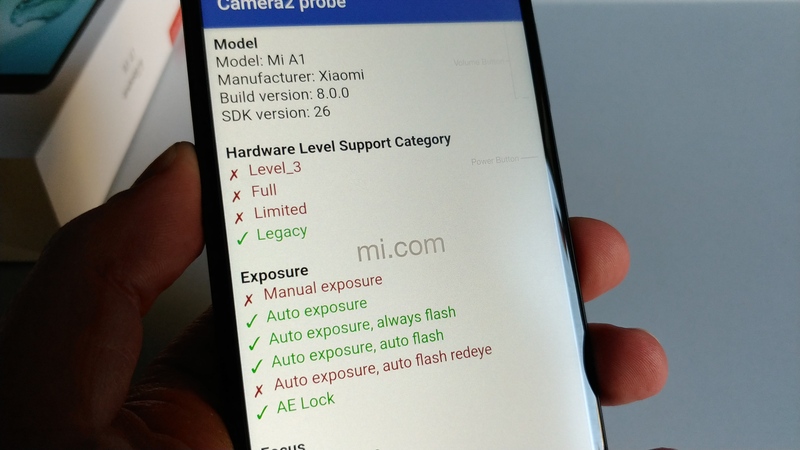 Lackluster Camera2 API support can be remedied by a good native camera app but unlike with photos, there is no pro or manual mode for videos on the Mi A1, it’s actually extremely limited. While you can lock the focus by tapping (there are two focus modes, tap-to-focus and continuous auto-focus), you are only able to adjust the auto-exposure within a certain range (EV), not lock it. There’s also no way to influence the white balance. Shooting in a higher frame rate (60fps)? Not possible, not even in 720p (there’s a not-too-bad 720p slow-motion feature though). Apropos frame rates: I noticed that while the regular frame rate is the usual 30fps, the native camera app reduces the fps to 24 (actually 23.98 to be precise) when shooting under low-light conditions to gain a little bit more light for each frame. That’s also the reason why I made two different YouTube videos with sample footage so I was able to keep the original frame rate of the clips. I have experienced this behaviour of dropping the frame rate in low-light in quite a few (native) camera apps on other phones as well and from the standpoint of a run-of-the-mill smartphone user taking video this is actually an acceptable compromise in my opinion (as long as you don’t go below 20fps) to help tackle the fact that most smartphone cameras still aren’t naturally nocturnal creatures. It can however be a problem for more dedicated smartphone videographers that want to edit their footage as it’s not really good to have clips in one project that differ so much in terms of fps. 3rd party apps might help keeping the fps more constant. And there are still two other big reasons to use a 3rd party app on the Mi A1 despite the lack of proper Camera2 API support: locking exposure and using an external microphone via the headphone jack (yes, there is one!). One more important shortcoming to talk about: It’s not too surprising maybe that there is no optical image stabilization (OIS) on a phone in this price range but given the fact that you can shoot 4K, I would have expected electronic image stabilization (EIS) at least when shooting in 1080p resolution. But there’s no EIS in 1080p which means that you should put the phone on a tripod or use a gimbal most of the time to avoid getting shaky footage. With a bit of practice you might pull off a decent handheld pan or tilt however to avoid having only static shots. So I’ve talked about the video capturing part, what about editing video on the Mi A1? The phone sports a Snapdragon 625 which is a slightly dated but still quite capable mid-ranger chipset from Qualcomm. You can work with up to two layers (total of three video tracks) of FHD video in KineMaster and PowerDirector (the two most advanced Android video editing apps) which will suffice for most users. Important note: DON’T run the hardware analysis test in KineMaster though! It’s a hardware probing procedure meant to better determine the device’s capabilities in terms of editing video in the app. While the device capability information originally says you can have two QHD (1440p) video layers, it will downgrade you to two 720p (!) layers after running the analysis – quite strange. Don’t worry though if your evil twin grabs your phone and runs the test anyway – you just have to uninstall and then reinstall KineMaster to get back to the original setting. I ran some quick tests with FHD 1080p layers and it worked fine so just leave everything as is. Since the phone can shoot in UHD/4K resolution you might ask if you can edit this footage on the device. While you can’t edit 4K in KineMaster on the Mi A1 at all (when trying to import 4K footage the app will offer you to import a transcoded QHD version of the clip to work with) you can import and work with UHD/4K in PowerDirector, but only as a single video track, layers are not possible.